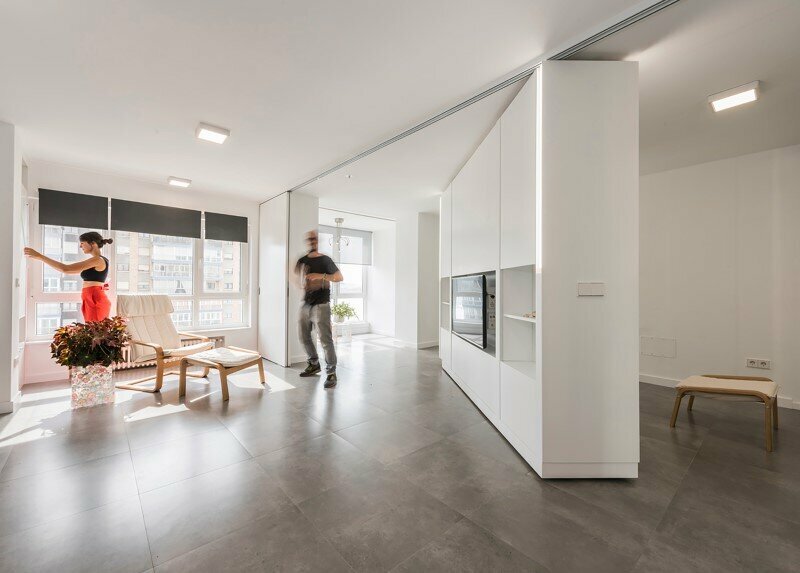 La Casa de Maria José y Enrique is a apartment designed by Madrid-based PKMN Architectures. 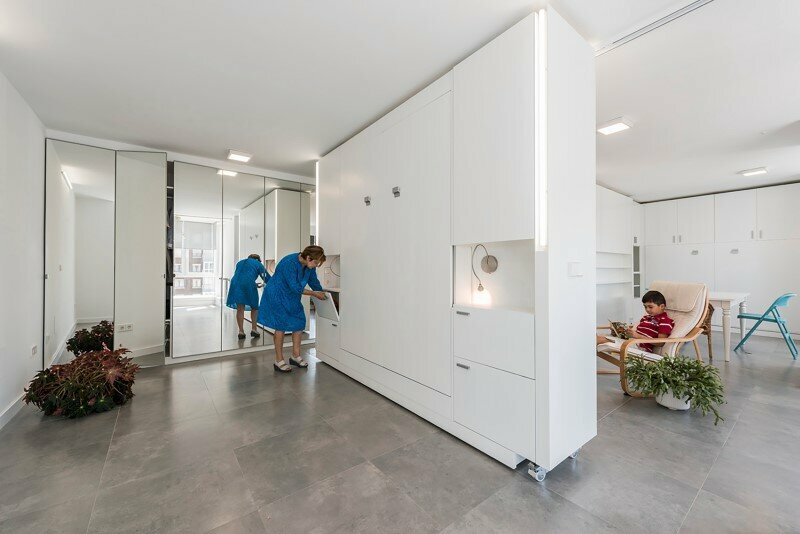 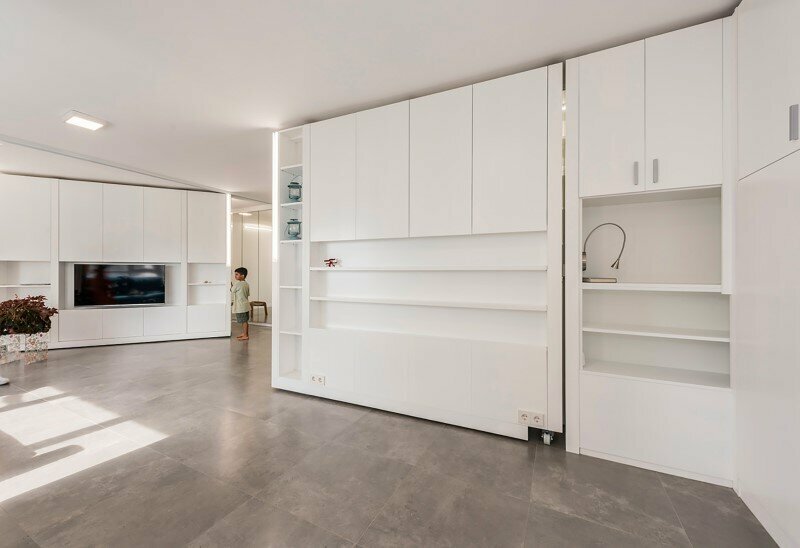 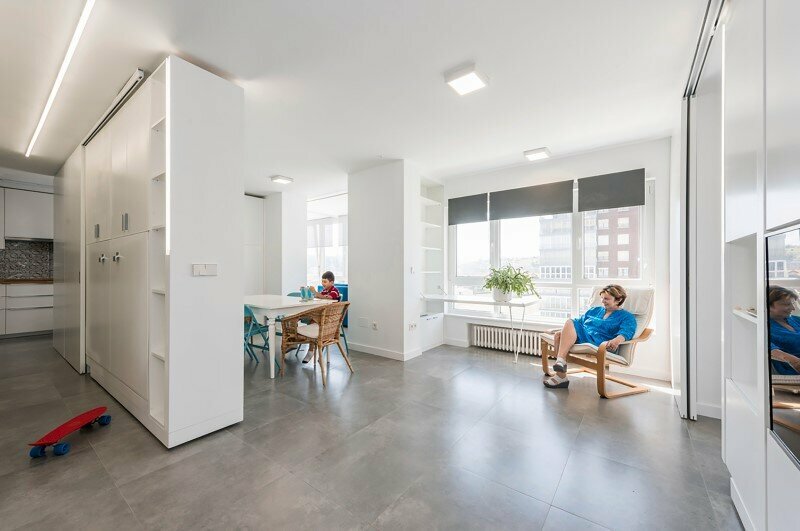 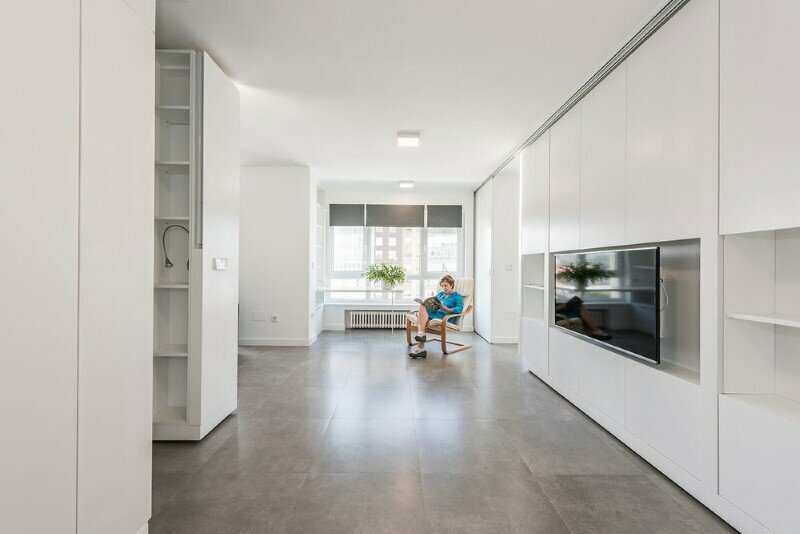 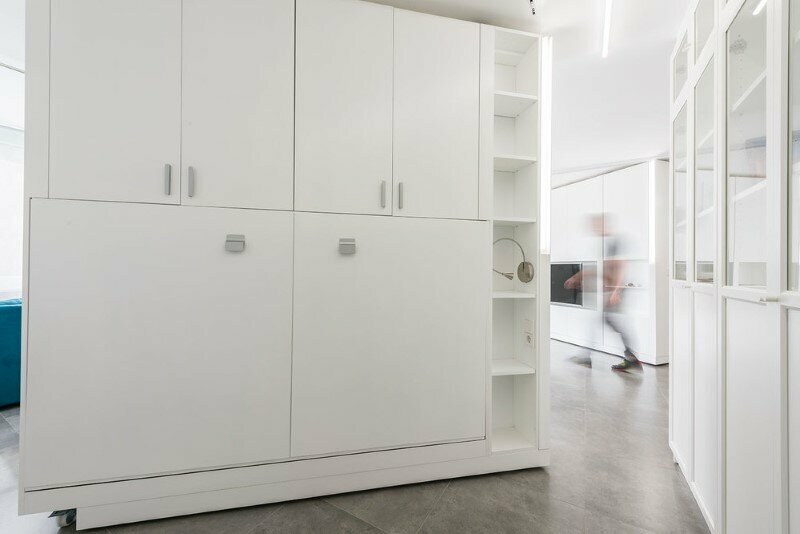 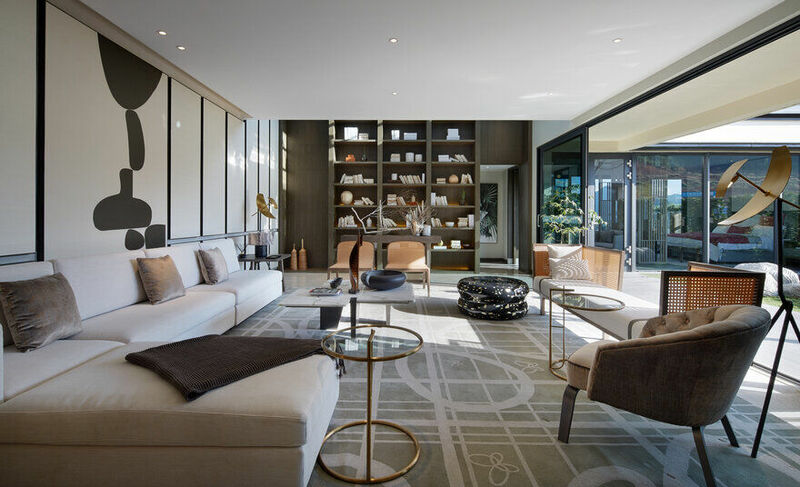 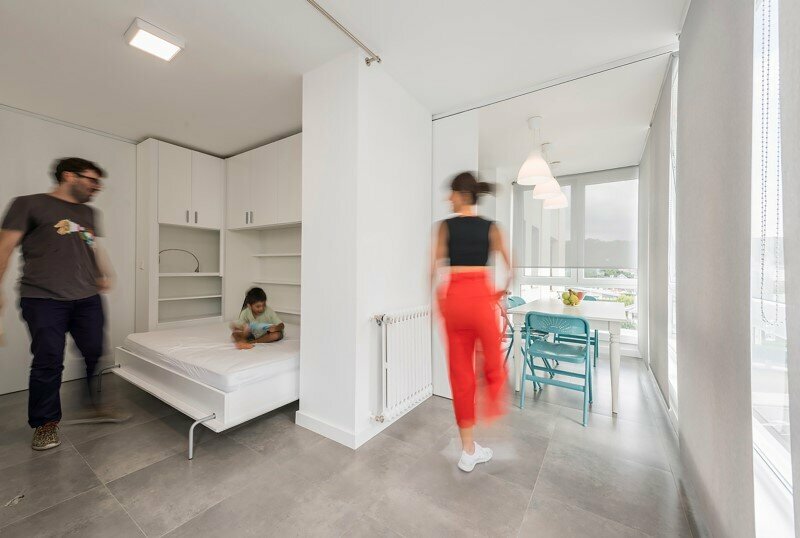 The apartment is designed with sliding wall partitions that allow to adapt the space to the needs of the owners. 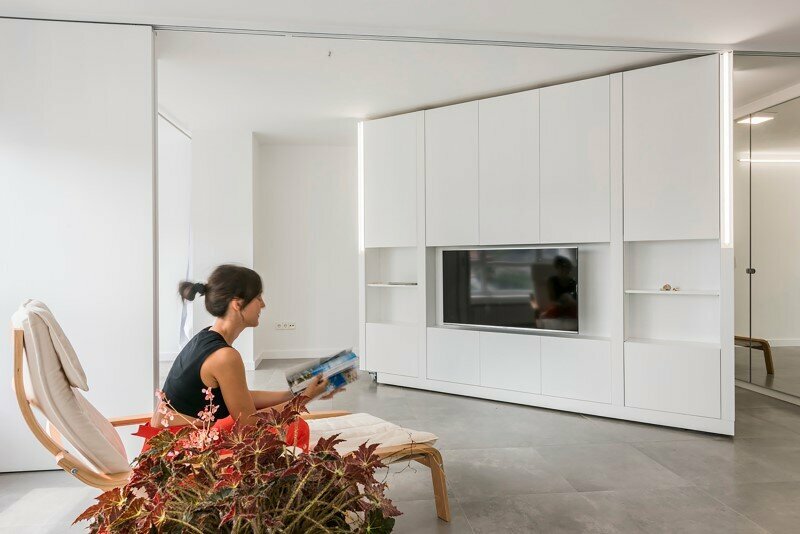 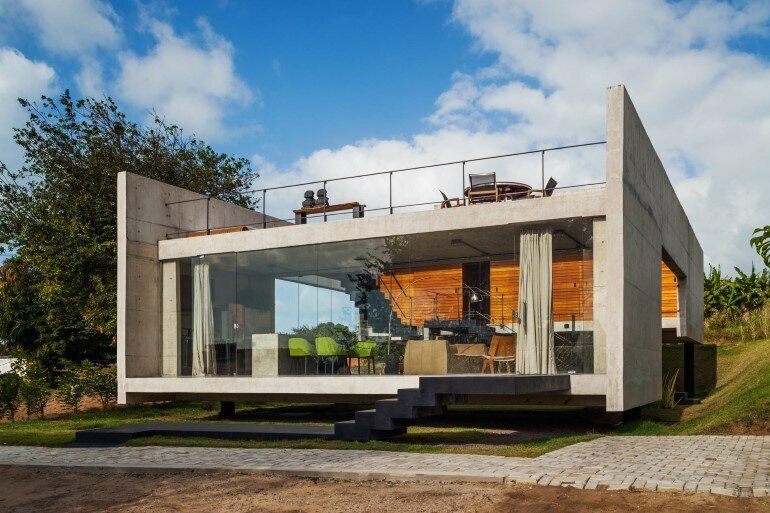 Description by PKMN Architectures: Maria Jose and Enrique live in Mexico but travel a lot in Europe. 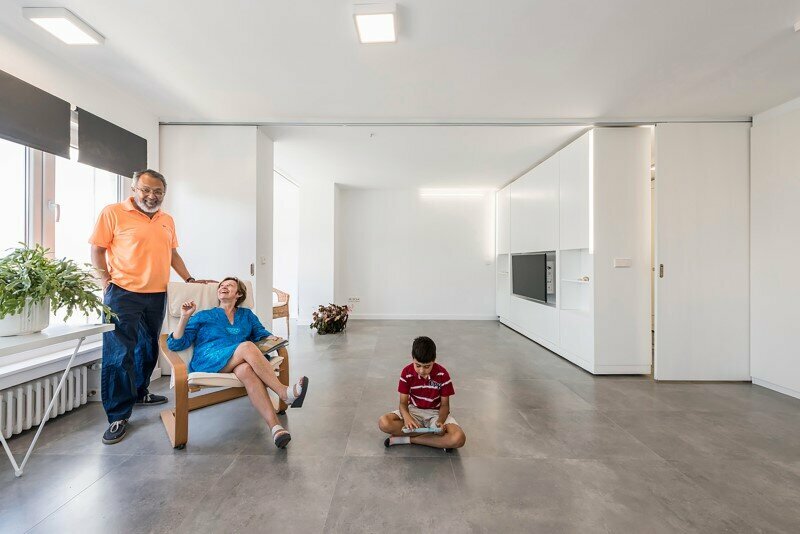 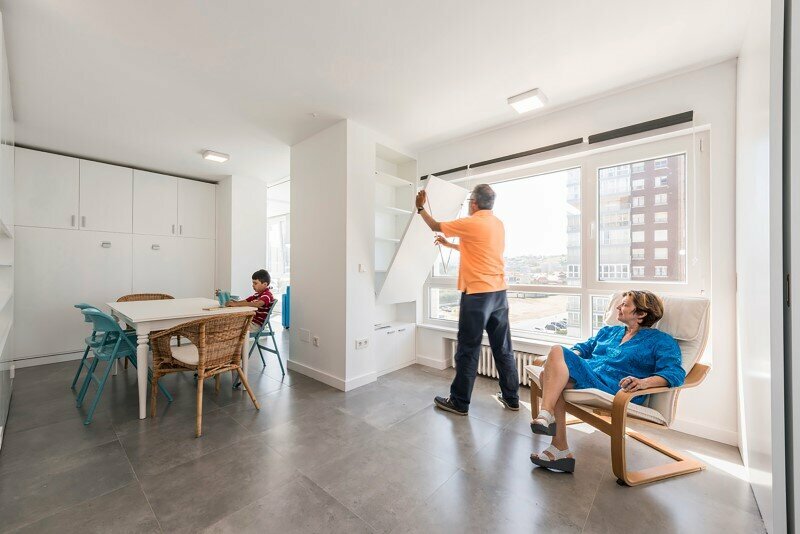 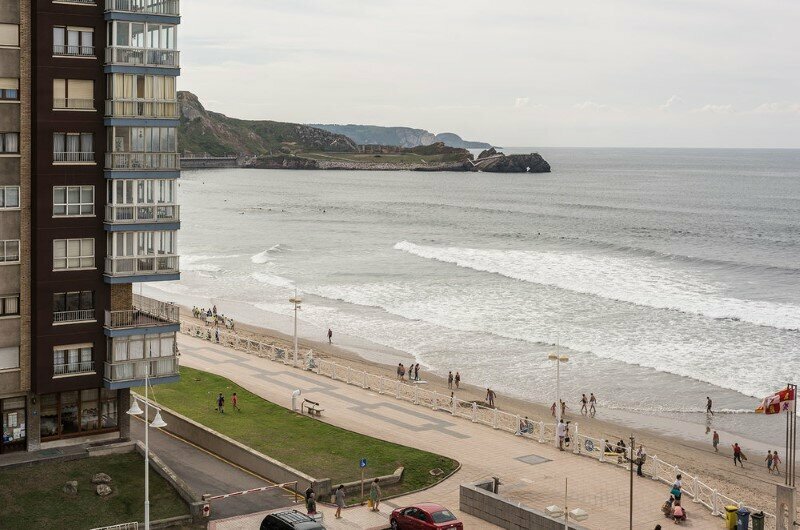 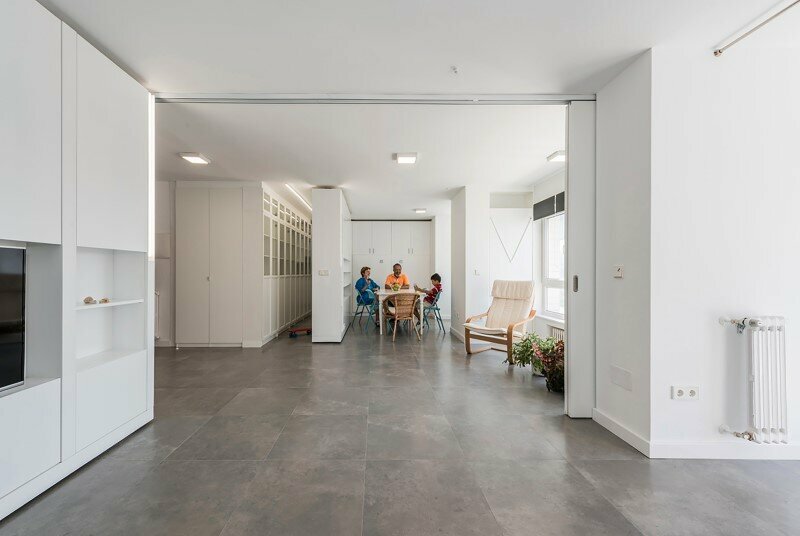 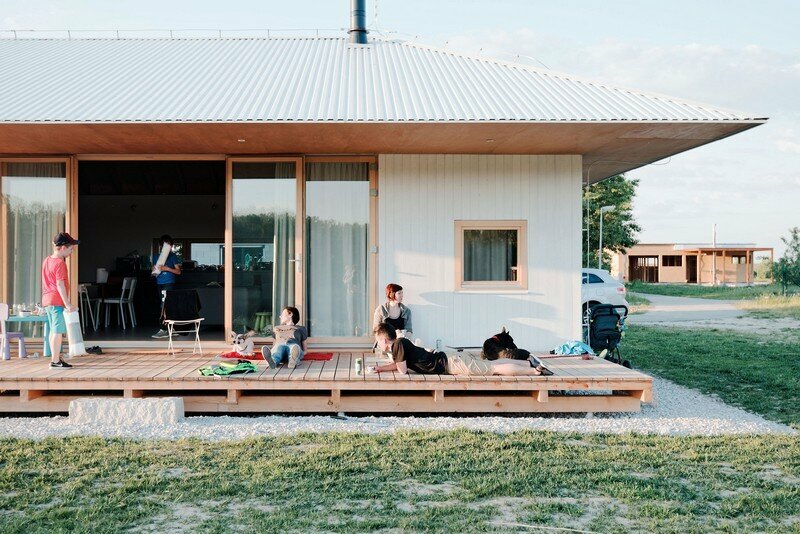 They wanted a second home in Asturias that could be an apartment for the couple and for the whole family at the same time. 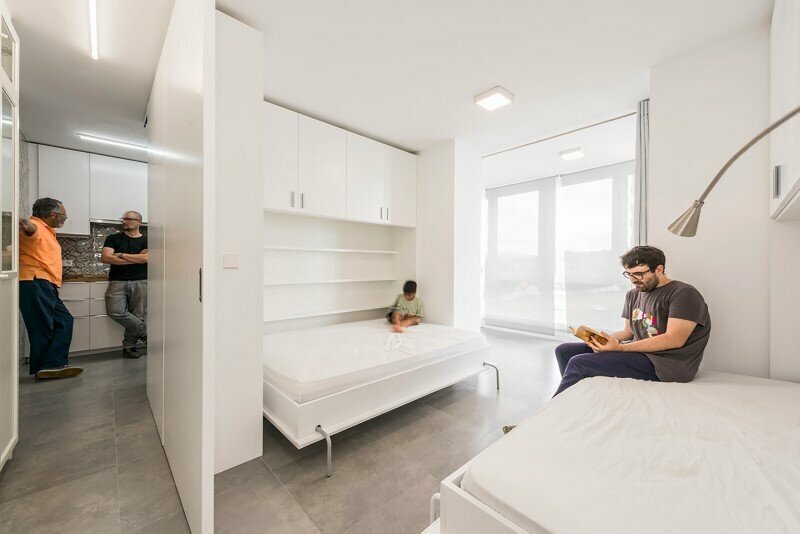 Through a rotating furniture the two bedrooms of the house may come and go in a minute. 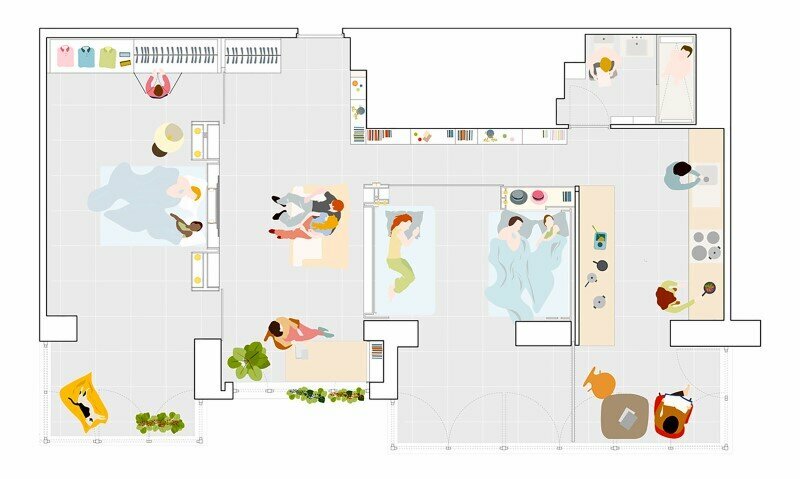 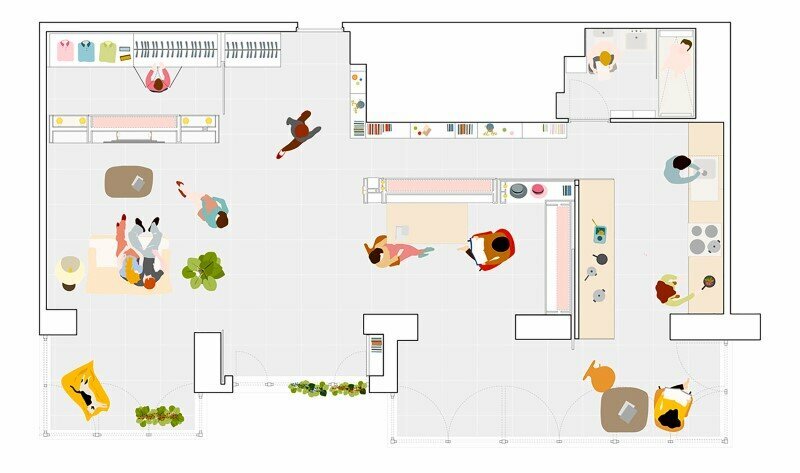 The house has three positions and a house with two bedrooms, one bedroom or none of them. 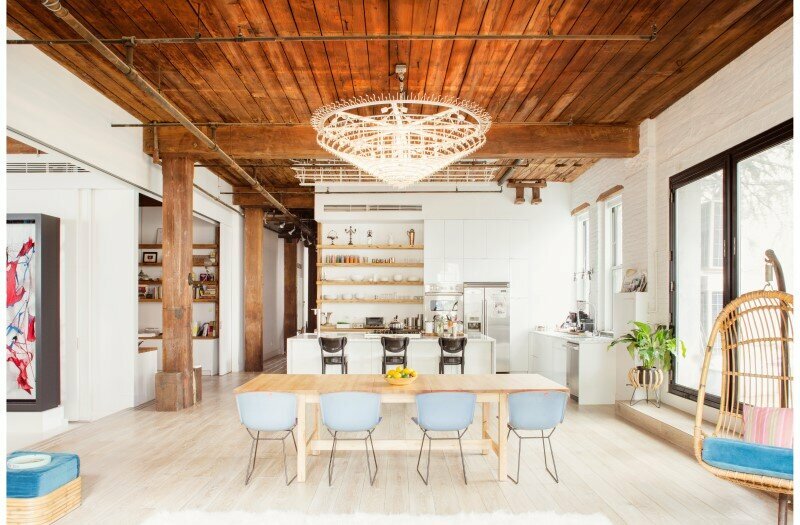 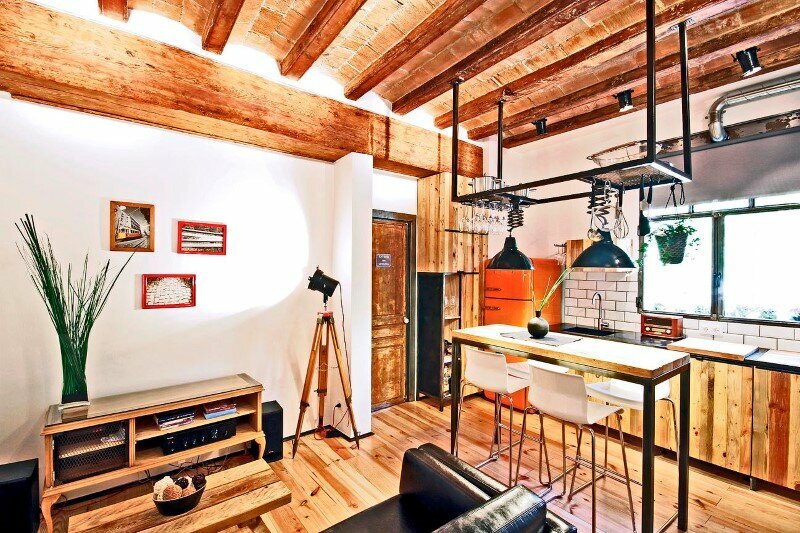 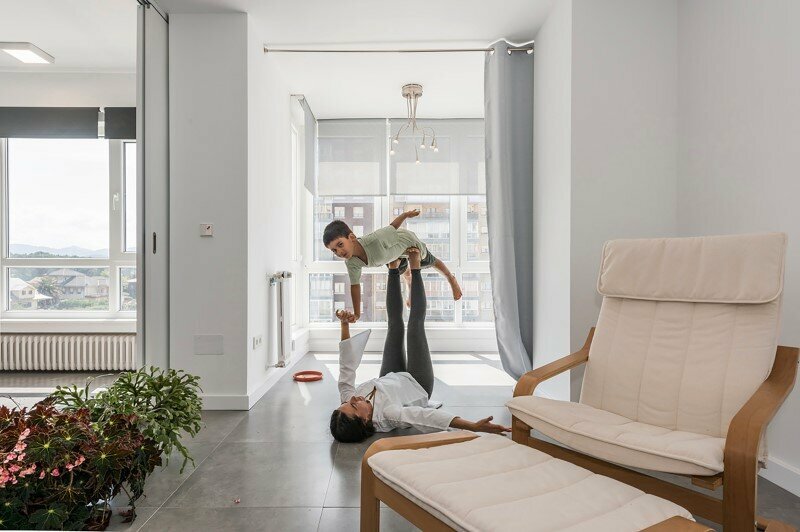 In that way, housing becomes a place to hold a big party for younger or a loft space when Maria Jose and Enrique are alone. 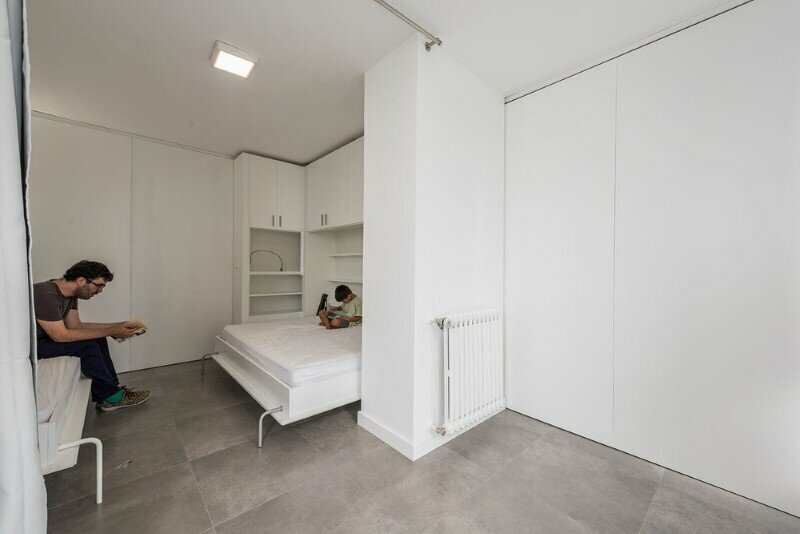 It is the luxury of having a room of nearly 50m2 in a house of 70m2.